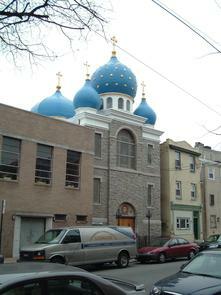 Founded as St. Andrew's Orthodox Christian Brotherhood in 1897 and consecrated in 1902, St. Andrew's is the oldest Orthodox church in Philadelphia and traces its roots to the Russian Imperial Navy. 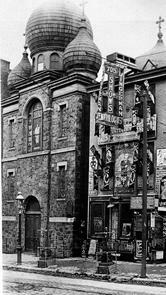 In 1898, a contingent of Russian sailors was staying in Philadelphia awaiting the completion of their two new battleships at Cramp's Shipyard in Kensington. 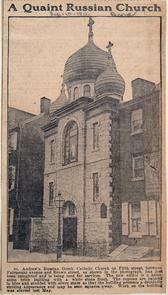 They became devoted congregants of the new parish and donated generously to the cathedral's construction and maintenance. 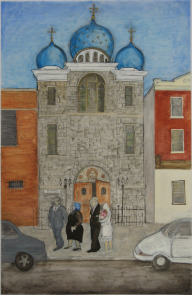 The religious icons that grace gate and altar were donated by the sailors. 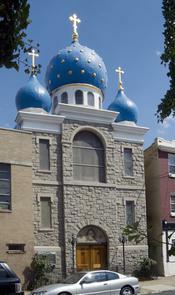 St. Andrew's became a social and cultural center for the Russian Orthodox community, providing economic and spiritual aid to immigrants and new arrivals to the Orthodox faith. 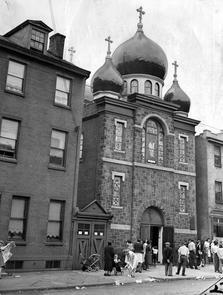 Named for the patron of saint of Russian sailors, St. Andrew's celebrated the centenary of its dedication and its maritime history in a 2002 ceremony attended by clergy from the mother church in Russia and representatives from the Russian Navy. Colimore, Edward. 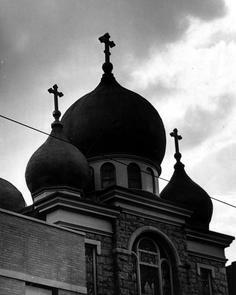 "On its anniversary, church remembers Russian navy." The Philadelphia Inquirer, December 14, 2002.